Will Iran’s Troubles In Yemen Propagate Elsewhere? Recent developments in Yemen and the killing of former president Ali Abdullah Saleh has highlighted what Iran has sought long to cloak. Tehran’s campaign in Saudi Arabia’s backyard has stumbled upon major political and military setbacks, providing the opportunity for Washington to correct a policy in need of strong amending. How the future unfolds in Yemen has the potential of sparking a series of major defeats for Iran across the region, spilling into the country’s shaky politics and fueling further domestic unrest. Senior Iranian officials, however, have gone the distance to portray Saleh’s death as a step forward against their regional archrivals, mainly Saudi Arabia. Ali Akbar Velayati, the international affairs advisor of Iranian Supreme Leader Ali Khamenei, even described Saleh as the agent of Saudi Arabia and the United Arab Emirates, who deserved such a fate. The two, considered members of Khamenei’s inner circle, describe the latest events in Yemen as a conspiracy. The bigger picture, however, reveals a major rout for Khamenei’s ambitions in the Arabian Peninsula. Saleh’s forces have separated from the Iran-backed Houthis, depriving Tehran of a large bulk of vital manpower on the ground. Saleh enjoyed the support of a large segment of the armed forces, many tribes and the Popular Congress Party with all its branches in cities across Yemen. The Houthis, being a militia entity, have now lost this key source of support and legitimacy for their cause. To add insult to injury for Iran, a large portion of Saleh loyalists have pledged allegiance to the Saudi-led coalition, providing crucial ground forces and intelligence to their effort against the Houthis. This renders meaningless Iran’s claims of now enjoying full control over Sanaa. Even after Saleh’s death Iran sought to seal all resulting rifts in Yemen’s landscape, understanding the meaning of losing Saleh’s boots. This can also be considered a signal of the Houthis’ fragile and vulnerable status quo. It is safe to say these turn of events have terminated any hope of negotiations for the Houthis, as they have revealed their true nature. It has become crystal clear for all parties in Yemen, and across the Middle East, of the fate awaiting those who mingle with Tehran. To begin with, Yemen’s long slate of tribes will now – if not already – have deep suspicions over Iran’s intentions on their soil. 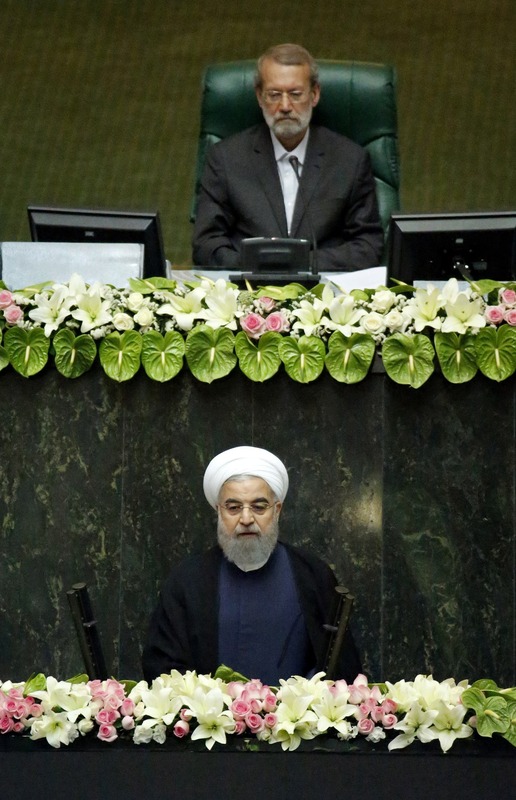 Comprehending the lack of any tangible future for his regime’s Yemen initiative, Iranian President Hassan Rouhani has twice called for engagement and negotiations with regional states. This marks a stark change in strategy for Iran, as Yemen for Khamenei resembled a bargaining chip, based on the alliance they previously enjoyed with Saleh’s loyalists. Yemen has now become the most vulnerable piece of Iran’s Middle East puzzle. Tehran’s position in the region is also downgrading and weakened deeply, making Rouhani’s call for talks more understandable. The setbacks in Yemen has had its impact on Iran’s other political endeavors. Following the recent missile launch from Yemen targeting Riyadh, and evidence showing the missile being of Iranian origin, France and other European countries have voiced positions far different from their stereotype calls for engagement with Tehran. Parallel to French President Emmanuel Macron seeking talks to curb Iran’s ballistic missile program, his top diplomat Jean-Yves Le Drian in a recent interview signaled Paris will not accept Tehran’s military expansion to the Mediterranean. This can be considered France’s response to Iranian Foreign Minister Mohammad Javad Zarif’s New York Times op-ed defending his regime’s ballistic missile program, and literally falling to Europe’s knees to protect Tehran from U.S. President Donald Trump’s major shift in policy vis-à-vis Iran. The Trump administration is on the verge of publicly displaying evidence proving Iran is procuring missiles to the Houthi. U.S. Ambassador to the U.N. Nikki Haley is also set to present further evidence of Tehran’s weapons proliferation, potential U.N. sanctions violations, acts of destabilization and threats to U.S. allies. Iran took advantage of Obama’s engagement policy to make advances across the region, including Yemen. With times changing, Tehran should not be provided any more such opportunities. The U.S. Congress is weighing new Iran sanctions for its destructive role in Yemen and policies aimed at destabilizing the country through ongoing support for the Houthis, including supplying them with weapons. To further trouble matters for Iran, Russia this week evacuated its embassy employees and citizens in Sana’a, reports indicate. One can conclude Moscow sees no hopeful future anytime soon in Yemen and Tehran has most likely lost a partner to bear the mounting challenges. In fact, a strong stance in Yemen and liberating this country from the Houthis should be used as a launching pad by the international community to begin reigning in Iran’s expansionist policy across the Middle East. Trump is scheduled to outline his first National Security Strategy next week. After refusing to certify the controversial Iran nuclear deal, registering the IRGC as a terrorist organization and again voicing Bashar Assad has no future in Syria, rest assured Iran’s role in the Middle East will be a major topic in Washington’s new blueprint. ANALYSIS: Does the Middle East’s stability hinge on Iran’s expulsion? As developments across the Middle East continue to signal landmark breakthroughs in the near future, Iran is resorting to desperate measures to safeguard a fading role. As over 85 percent of Yemen is retaken by the Saudi-backed coalition, reports indicate a second ballistic missile fired by Yemen’s armed Iran-supported Houthi militias targeting Saudi soil was shot down on Thursday near the south-western city of Khamis Mushait. In Syria there are signs of hostilities nearing an end after nearly seven years of carnage. This is in fact against Iran’s interests as this regime thrives on unrest outside of its borders to keep the flame of turmoil burning and focus attention at bay from its domestic woes back home. While standard viewpoints and common sense lead us to the conclusion that certain measures signal Iran’s strengths, this piece is meant to argue otherwise. Iran, nowadays, is forced to choose between bad and worse. With Yemen slipping out of its control, Tehran is desperate and resorting to a variety of measures to maintain a straight face despite significant setbacks. This includes deadly clashes between Houthi forces and those loyal to ousted Yemeni president Ali Abdullah Salah, significantly endangering Tehran’s future interests. The circumstances in Yemen are obvious. It has become a no-brainer that Tehran supports the Shiite Houthis against the internationally-recognized government of Yemen. Yet Iran cannot engage directly in Yemen through ground, air or sea measures. Launching missiles from Iran to Yemeni soil against the Saudi-led coalition or into Saudi soil is also out of the question. Remains only the option of smuggling arms and missile parts through Oman and other routes into Yemen to support the Houthis and have the missiles assembled and readied to target Saudi targets. Riyadh’s missile defense units have defended their territories. Despite all the calamities, Iran is left with the sole option of continuing such measures, or succumb to forgoing its Yemen campaign and accepting defeat. To make matters worse, the European Parliament recently adopted a resolution calling on Iran to halt its support for the Houthis. With 539 votes in favor against a mere 13 against, the European Parliament condemned the Houthis’ recent missile attacks targeting Saudi interests, especially a civilian airport in Riyadh and the King Khaled International Airport. A similar mentality and practice of understanding is needed to compensate a recent move by a reporter of Iran’s state broadcaster embedded with Tehran’s foot-soldiers in Syria. It is common knowledge that recruiting juveniles for war is banned by international law. All the while, a November 25th video showing a 13-year-old boy in the Syrian border city of Abu Kamal made a frenzy on Iranian websites and social media channels. Describing himself as a “defender of the shrine”– using terminology branded by the Iranian regime for foot-soldiers and cannon-fodders recruited for battles in Syria and Iraq – the young boy says he is from the northern Iranian province of Mazandaran and resorts to various explanations about his motivation for being in such circumstances while expected to be attending school. Although obviously a publicity stunt, why would Iran resort to such a measure knowing organizations such as the Human Rights Watch would raise major concerns? If Iran is boasting about major victories in Syria, why the need to resort to such a PR measure with more cons than pros? 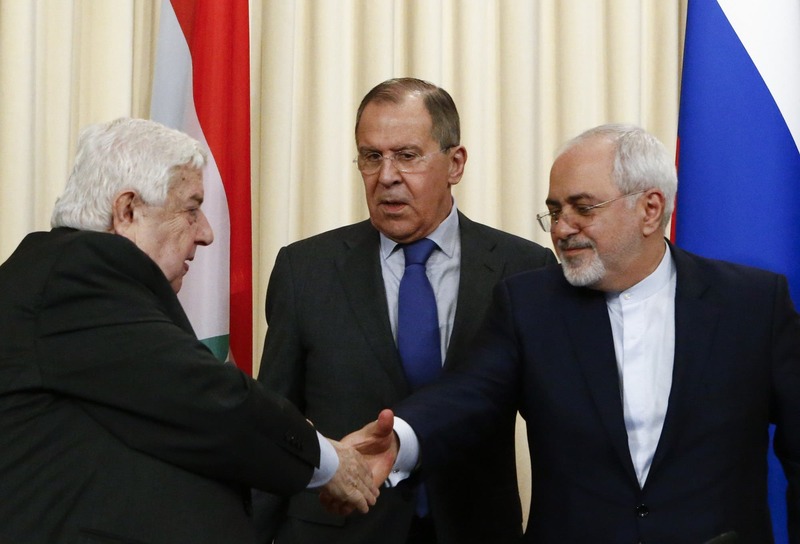 It is becoming an undeniable reality that Iran is losing hegemony in Syria to a long slate of players. And after wasting dozens of billions of dollars in the Levant, bringing death to hundreds of thousands and literally destroying an entire nation, Tehran is desperately in need to save face. Iran’s meddling across the region has escalated tension across the region to unimaginable levels and left a path of ruins. Tehran currently seeks a corridor to its main proxy, the Lebanese Hezbollah, to easily provide necessary logistics and maintain influence throughout the Middle East. Saudi Foreign Minister Adel al-Jubeir raised the stakes by accusing Hezbollah of using Lebanese banks for smuggling and money laundering to finance their terrorist activists. Riyadh’s top diplomat went as far as describing Lebanon as another country’s hostage, most likely referring to Iran. The Iranian opposition National Council of Resistance of Iran (NCRI) has long called for strict measures aimed at evicting Iran from the region, especially Syria and Iraq. The war in Syria is coming to an end against Iran’s interests. The forces supported by Tehran in Yemen are losing ground fast. Hezbollah is coming under increasing pressure in Lebanon and in Iraq, after the routing of ISIS, Iran can no longer justify the presence of proxy forces. French President Emmanuel Macron on Saturday met with Iraqi Kurdistan leaders in Paris and called on Iraq to dismantle the Iran-backed militia known as the Popular Mobilization Forces. This is a very public call for such a measure considered highly sensitive for Iraq and Iran. All the while, the Iranian regime is no entity to remain silent or inactive. There are ongoing conspiracies to obtain further influence in Iraq’s upcoming general elections set for May 12th. Establishing underground missile factories and a land-bridge are in the blueprints for Lebanon. Wreaking endless havoc in Yemen and creating obstacles one after another in the Syria talks are Iran’s agenda. In response, a strong and united international effort is needed to confront Tehran’s ambitionsand deter it back once and for all. – A response to the blow received from Hariri’s resignation. – The Houthis are suffering a series of setbacks on the ground. – The United Nations has proposed peace plans for Yemen. The Houthis missile launch signals Iran’s response to peace and any negotiations whatsoever in Yemen. A major global policy change was in the making. U.S. President Donald J. Trump followed suit and delivered his landmark speech last Friday. It was the first time in over 30 years that a U.S. president completely devoted a speech to announcing his policy in regards to Iran. Trump delivered America’s new comprehensive strategy vis-à-vis Iran, following months of anticipation and talks. The issue at hand is not a discussion about personal differences between George W. Bush, Barack Obama or Donald Trump. Policies have reached a dead end and long term interests have left America no choice but to adopt new policies. What makes this transition even more important is the fact that an intense war on both sides of the Atlantic has been ongoing over this policy transition. This is not limited to the pro-Iran lobby camp. Major interests are at risk here, covering issues far more important than Washington’s Iran policy. In this 19-minute speech never did Trump deliver a neutral stance regarding Iran. The entire text was focused on placing his crosshairs on the Iranian regime. He began with the 1979 U.S. Embassy takeover in Tehran, continuing with the bombings in Beirut, Saudi Arabia, Kenya, Tanzania and Iraq against America and its allies. The objective was not to deliver new tactics or mere mechanisms on how America will approach Iran. The very foundations of U.S. policy on Iran has undergone major alterations. One very interesting fact was how Trump focused on using the terms the “Iranian regime” and/or the “Iranian dictatorship”. Even if he preferred not to use the phrase of “Islamic Republic,” Trump had the option of resorting to “Iran.” Yet his decision to rely on the “Iranian regime” can be considered a non-recognition of this regime in its entirety. President Trump using the terms “dictatorship” and “regime” indicates the ultimate objective of US policy is regime change in Iran, according to Richard Haass, President of the Council of Foreign Relations, as cited by various state websites in Iran. Trump’s speech focused on two subjects: the Iran nuclear deal and this regime’s regional belligerence and meddling through the Revolutionary Guards (IRGC). Prior to his remarks, Trump was under fierce pressure from Europe to certify Iran’s compliance with the nuclear accord, technically known as the Joint Comprehensive Plan of Action (JCPOA). America’s European allies even took one step back in asking Trump that in the case of decertifying the JCPOA, at least call on Congress not to re-impose pre-JCPOA sanctions on Iran. Trump, however, stood against all pressures and his specific orders sent a message to the U.S. Congress and Europe: either fix the JCPOA or else the entire pact will come to an end. The Europeans, seeking to maintain the JCPOA intact at all costs, found themselves before a fork in the road. The price of safeguarding the JCPOA is to place pressure on Tehran to resolve the existing loopholes. This will be completely against Tehran’s interests, targeting the “sunset” clauses, Iran’s ballistic missile program and access to military sites for rigorous inspections. “The notion that [Iran’s] entry into the JCPOA would curtail Iranian adventurism, the terror threat, or their malignant behavior has proven to be fundamentally false,” CIA Director Mike Pompeo said at a recent session held by the Foundation for Defense of Democracies. Another very important aspect of Trump’s speech is recognizing Tehran as a threat, and in other words, America’s enemy number one. This, again, marks a strategic shift and not a mere tactical alteration. “Over the last decade and a half, United States policy has also consistently prioritized the immediate threat of Sunni extremist organizations over the longer-term threat of Iranian-backed militancy,” a White House press release read prior to Trump’s speech. This is the epicenter of America’s strategic shift regarding Iran and the Middle East. Following the 9/11 attacks, the flawed U.S.-led invasion of Iraq in 2003 played into Iran’s hands. These developments provided the necessary grounds for Tehran to spread its influence in the shadows of Sunni extremists and fundamentalists. To add insult to injury, the Obama years gave birth to a policy hinging on recognizing a role for Tehran in regional developments. This period witnessed America distancing from its Sunni allies. “The Trump Administration will not repeat these mistakes,” the press release adds. Once again the Iranian regime has become the main enemy in the region, as we have witnessed in the developments of the past few months following the historic Riyadh conference back in April. The IRGC also became another major target of Trump’s harsh and unprecedented remarks targeting the Iranian regime’s top authority. “The Revolutionary Guard is the Iranian Supreme Leader’s corrupt personal terror force and militia… I am authorizing the Treasury Department to further sanction the entire Islamic Revolutionary Guard Corps for its support for terrorism and to apply sanctions to its officials, agents, and affiliates,” he said. The U.S. Treasury Department followed suit and blacklisted the IRGC as a terrorist entity. Iranian Supreme Leader Ali Khamenei responded Wednesday to Trump’s remarks by merely saying Tehran would not walk out of the JCPOA, indicating his regime’s desperate dependence to the pact’s reliefs. Equally important is how Trump in his remarks specifically separated the Iranian people from the ruling regime, and made his intention crystal clear. “Iran is under the control of a fanatical regime that seized power in 1979 and forced a proud people to submit to its extremist rule… In this effort, we stand in total solidarity with the Iranian regime’s longest-suffering victims: its own people,” he specified. U.S. Secretary of State Rex Tillerson in an interview with CNN on Sunday raised the stakes further for Tehran. “… the hope that one day the Iranian people will retake the government of Iran,” he said. Of course, we can argue that Trump’s speech fell short of shedding important light on Iran’s flagrant human rights violations and the Iranian people’s demand for change. While this is worthy of a lengthy debate, what is important now is that a major revolution in U.S. policy in the face of the Iranian regime spells disaster for Tehran’s rulers, and opportunity for the Iranian people. US President Donald Trump decertified the Iran nuclear deal on Friday and referred the case to Congress. It remains to be seen what measures await Tehran, especially considering the highly intensive quarrel that brought us where we are today. What is certain, however, is that this marks a major US policy shift vis-à-vis Iran, having impact across the flashpoint Middle East. Ever since the presidency of Dwight D. Eisenhower back in the 1950s and since the CIA-backed the 1953 coup d’état against the democratically-elected government of Prime Minister Dr. Mohammad Mosaddegh, Washington’s policies have either directly or indirectly supported the ruling regimes in Iran and against the Iranian people’s better interests. Trump, however, has for the second time in less than a month stated his solidarity with the Iranian people. Iran has violated the very spirit of the agreement, formally known as the Joint Comprehensive Plan of Action (JCPOA), and the entire accord is against US national security interests, according to Trump. The Arab world reacted positively, with Saudi Arabia, Egypt, the UAE and Bahrain promptly supporting the US landmark decision. This is in line with April’s Riyadh conference where Trump called on the Islamic world to recognize the threat of Iran’s meddling in their countries and take the necessary action. Considering the importance of the Middle East for Iran, rest assured Tehran is receiving these messages loud and clear. The Iranian opposition, National Council of Resistance of Iran (NCRI), known for its credibility after blowing the whistle on Tehran’s nuclear ambitions back in 2002, also welcomed Trump’s strategic policy shift. The new US policy condemning flagrant human rights violations in Iran and “to deny the Iranian regime and especially the Islamic Revolutionary Guard Corps (IRGC) funding for its malign activities,” and opposing “IRGC activities that extort the wealth of the Iranian people,” are very necessary, according to NCRI President Maryam Rajavi. Trump’s acknowledgment that under Iranian Supreme Leader Ali Khamenei the regime “oppresses its people, abuses their rights” and “exports violence, destabilizes its neighbors, and sponsors terrorism abroad,” is a recognition of the Iranian regime’s illegitimacy, she added. The Trump administration has executed a widespread strategic alteration, ending years of appeasement and rapprochement that provided Tehran with unjustified concessions. This includes the 1997 designation of the Iranian opposition People’s Mojahedin Organization of Iran (PMOI/MEK) at the Iranian regime’s behest. Following a 15-year legal battle the PMOI successfully obtained a US federal court ruling ordering the Obama administration to end its unjust terrorist designation. Iran’s lobbies and appeasement advocates have gone the limits to restrain the Trump administration from adopting fierce measures against Tehran. 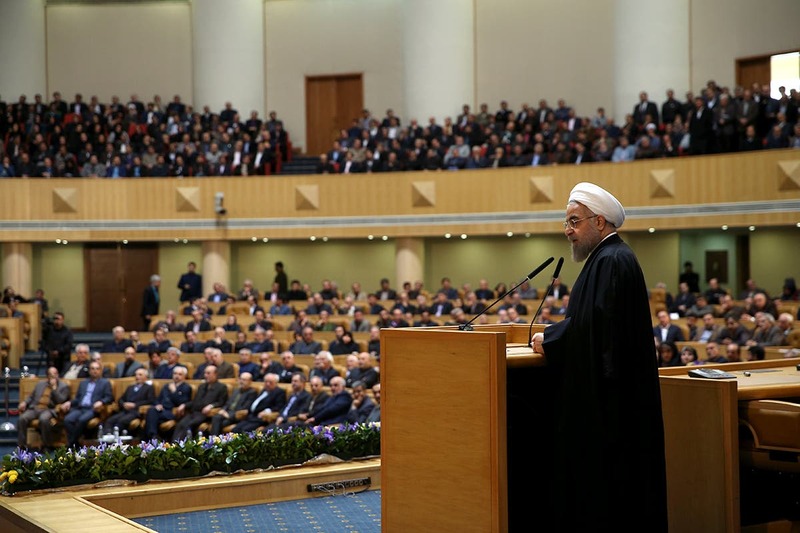 Iranian President Hassan Rouhani’s words depicted the devastating blow felt by the regime in its entirety, resorting to completely unorthodox and undiplomatic remarks for a president. Trump ordered the Treasury Department to “fully sanction” the IRGC for its support of terrorism. There can be a debate about the exact meaning of this measure. Does this place the IRGC under sanctions? Is this entity now considered a terrorist organization? What is the meaning of “designating” an entity as a terrorist body? In the United States there is a law and an executive order covering terrorism. All organizations designated as terrorist organizations are blacklisted as such based on this law and/or executive order. The legislation was adopted by Congress back in 1996, based on which the State Department, in coordination with the Treasury Department, were provided the authority to designate foreign organizations as terrorist entities, also known as Foreign Terrorist Organizations (FTO). In 2001 following the 9/11 attacks, former US president George Bush issued Executive Order 13224, providing the State and Treasury departments the necessary authority to accelerate the process of designating, sanctioning and restricting such bodies as “foreign terrorist organization” or a “global terrorist.” The authority provided in a presidential executive order is equal to that of a congressional legislature. On Friday, Trump ordered the Treasury Department to designate and fully sanction Iran’s IRGC in its entirety based on Executive Order 13224. Generally, these blacklists impose financial restrictions on the designated individuals or entities. There are slight differences the two State and Treasury blacklists, as the main aspects are very similar, including confiscating all assets of the designated individual or organization, and placing them under the authority of the US judiciary. The State Department’s FTO list also imposes immigration restrictions. The “Corker-Cardin” bill overseeing the JCPOA for Washington provides Congress 60 days to decide the next step following Trump’s announcement on Friday, indicating the Iran nuclear deal is against U.S. national security interests. Trump has called on Congress to intensify this legislation to include certain additional restrictions. Trump in fact emphasized if existing loopholes in the accord are not resolved, as president he enjoys the authority to single handedly revoke the agreement in its entirety. This development goes far beyond designating the IRGC and has a more drastic impact than merely decertifying the JCPOA. The Trump administration has announced a completely new policy. A White House fact sheet released prior to Trump’s speech specifically explains how a certain US policy pursued for 15 years vis-à-vis Iran and the Middle East was wrong, and how this administration has decided to no longer repeat those mistakes. The Iran engagement policy was very effective and acted as a significant pillar in safeguarding and maintaining the Iranian regime in power. That is exactly why from the very day Tehran has sensed a major Washington policy change, all of Iran’s lobbies and advocates are going to the limits to prevent this now realized transition. Iran had resorted to a variety of threats, even to take military action against US forces in the region, in the case of the IRGC being designated as a terrorist organization. Now that the entire IRGC is designated as a terrorist organization, we are seeing voices against this development, and Iranian lobbyists attempting to downgrade this turn of events, claiming it is merely sanctions and far different from a terrorist designation. The truth is that a policy that provided crucial support for Tehran through these years is witnessing major changes. This is rendering enormous concerns in Tehran. What needs comprehending is the scope of Trump’s major policy transition. The military phase of the fight against ISIS is winding down after the liberation of Mosul, and the battle for the nearby town of Tal Afar is predicted to end soon. This has provided an opportunity for Iraq to begin distancing itself from the influence gained by Iran following the disastrous 2003 war, and returning to its true Arabic heritage. Iraq was known as a melting pot where Arabs, Kurds and Turkmens lived alongside and in mixed societies for centuries. Prior to Iran gaining its disastrous sway across Mesopotamia, this was a land where the majority of Shiites lived and prospered with their Sunni, Christian, Yazidi and all other religious minority brothers. Has not the time arrived for Iraq to regain its true position as part of the Arab world, and rid its soil of the meddling of Iran’s clerics? Iraqi officials have embarked on a new campaign of visiting Saudi Arabia and other Arab Sunni states, signaling long-welcomed changes. The influential Sadrist leader Muqtada was seen in the final days of July meeting with Saudi Crown Prince Mohamed bin Salman. Only days later Sadr paid a visit to the United Arab Emirates, another critic of Iran’s policies, where he was welcomed as an Iraqi leader by a slate of leading politicians and clerics. Sadr’s visit rendered a variety of measures by Riyadh, including launching a Saudi Consulate in Sadr’s hometown of Najaf, one of the two holiest Shiite cities in Iraq. Grand Ayatollah Ali al-Sistani, known as Iraq’s most senior Shiite cleric, his distance from Tehran’s viewpoints and calling for Iraq to practice openness in establishing relations, did not block such a proposition. Iran, however, resorted to strong remarks against Sadr for his visits to Saudi Arabia and the UAE. The visit was even described by a local wire as an act of betrayal to the Houthis in Yemen. Iran’s support for the Shiite proxy militias, through arms, logistics and finances, parallel to advisors dispatched by the Revolutionary Guards (IRGC) and Lebanese Hezbollah, have resulted in the humanitarian catastrophe Yemen finds itself today. Sadr is also planning a visit to Egypt, adding to the list of senior Iraqi officials, including Prime Minister Haider al-Abadi and the ministers of foreign affairs, interior, oil and transportation who are set to visit Saudi Arabia. Despite investing in Iraq for the past 14 years, Iran has been deprived of visits of such high stature. Iran’s proxies, while taking the credit for much of the fight against ISIS on the ground, have been accused of law violations and refusing to obey the state of Iraq. Iraqi authorities affiliated to Iran have a very poor report card of being involved in corruption and sacrificing Iraqi national interest in Tehran’s favor. This became a major issue during the second term of former Iraqi prime minister Nouri al-Maliki, who some have even described as Iran’s “puppet.” Maliki is known to have close relations with Tehran and Iranian Supreme Leader Ali Khamenei himself. To make matters even worse, the recent departure of Majid al-Nasrawi, governor of the oil-rich city of Basra located at the southern tip of Iraq, has recently left for Iran. His departure followed being accused of numerous corruption offences by a government transparency committee. Choosing Iran as a destination has left further impression of him fleeing to a safe haven, and Tehran having a hand in Iraqi corruption. As Sadr and other Iraqi officials continue their meetings with senior Arab officials of the region, there are also major talks under way between Baghdad and Riyadh to establish a new alliance that would provide Saudi Arabia a leading role in rebuilding war-torn cities across Iraq. On August 14th the Cabinet of Saudi Arabia announced a coordination committee to spearhead a variety of health care and humanitarian projects, including building hospitals in Baghdad and Basra, and providing fellowships to Iraqi students in Saudi universities. Opening border crossings and establishing free trade areas between the two countries is also on the agenda. Riyadh should lead the Arab world in tipping the balance of power against Tehran’s interests in Iraq. The truth is Iran has not carried out any major economic project in Iraq from 2003 onward, due to the fact that the mullahs do not seek the prosperity of their western neighbor. Saudi Arabia and the Arab world should provide the support Iraq needs after suffering from Iran’s menacing influence that has brought nothing but death and destruction. Evicting Iran from Iraq must come parallel to efforts of ending its presence in Lebanon, Syria and Yemen. 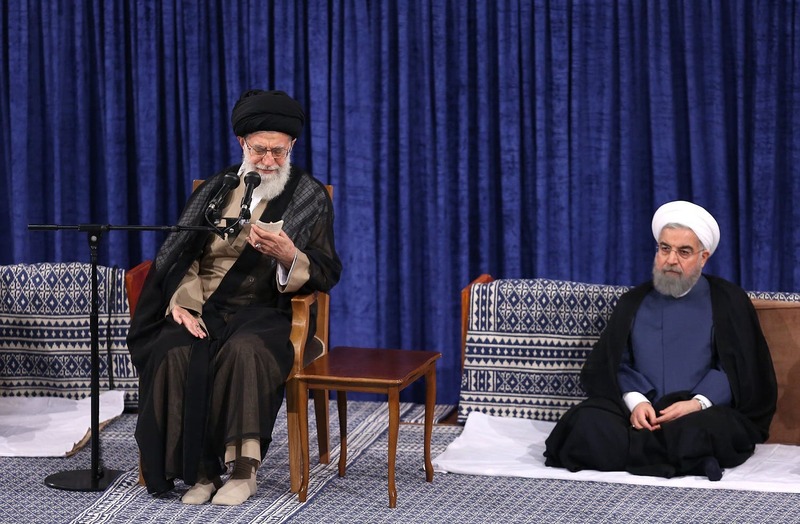 The main obstacle before the Arab world in establishing a coalition against Iran’s clerics is this regime’s meddling and the IRGC presence across the region. 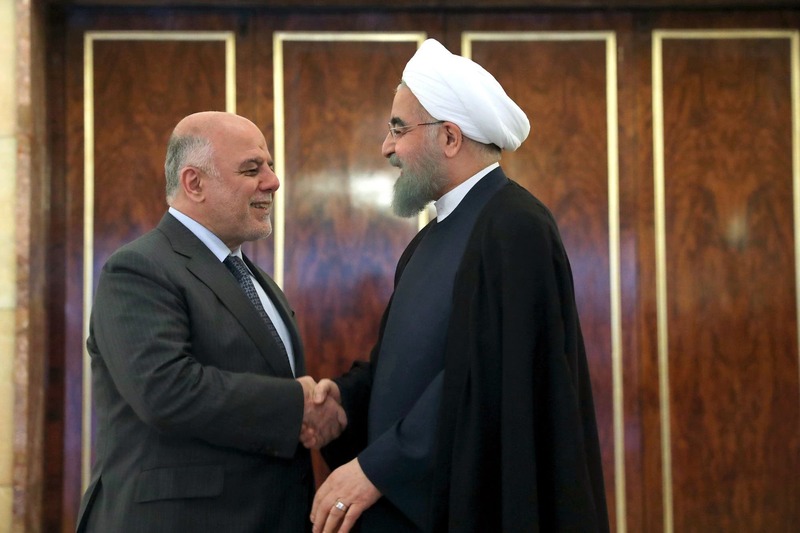 With Iran evicted from Iraq, the void should be filled by economic support by the Arab world for Iraq. And with the US Congress adopting a bill against the IRGC, Riyadh must take the lead to have all IRGC members, proxies and Iran-related elements expelled from the region. Only such a policy will allow the Middle East to one day experience tranquility and peaceful coexistence. Thanks to years of Western appeasement in the face of Iran’s belligerence across the Middle East, evidence of Tehran’s dangerous footprints are now visible in several countries across the region, including even Saudi Arabia’s Eastern Province. The Trump administration, however, has made it quite vivid its adoption of a firm approach. This stance, signaled in the historic May conference in Riyadh, is long overdue and should be enhanced by Washington supporting the Iranian people’s desire for regime change. Iran has a long record of hostility against neighboring countries and US interests in the Middle East. The 1983 bombings targeting the US Embassy and barracks in Beirut, the Khobar Towers attack in 1996, all climaxed in the support Iran provided for Shiite proxies and the Sunni Taliban in their campaign against US-led coalition forces in Afghanistan and Iraq. In parallel form, the Lebanese Hezbollah and Hamas, two known terrorist groups, have for over 30 years enjoyed contributions from Tehran to fuel sectarianism throughout the Middle East and carry out terrorist attacks. The Obama administration handed Iraq over to Iran in a silver plate through a strategic mistake of prematurely pulling out all US troops. This paved the path for Iran to further export its “revolution” through a convenient medium of extremist proxies. The West can literally be accused of standing aside and watching Iran’s aggressive policy. This has rendered a slate of countries, including Afghanistan, Bahrain, Iraq, Saudi Arabia, Syria and Yemen feel threatened and/or left utterly devastated from Iran’s meddling on their soil. Of late, Iran has been reported to send further weapons and narcotics to Yemen’s Houthis. These drugs are sold to provide income for Iran’s supported militias on the ground in the flashpoint country south of Saudi Arabia, Tehran’s archenemy in the region. Members of Iran’s Revolutionary Guards (IRGC) are present in Yemen also to instruct and guide the Houthis in assembling weapons smuggled into the country by Tehran. “For the last six months the Islamic Revolutionary Guards Corps (IRGC) has begun using waters further up the Gulf between Kuwait and Iran as it looks for new ways to beat an embargo on arms shipments to fellow Shi’ites in the Houthi movement,” Reuters cited Western and Iranian sources. 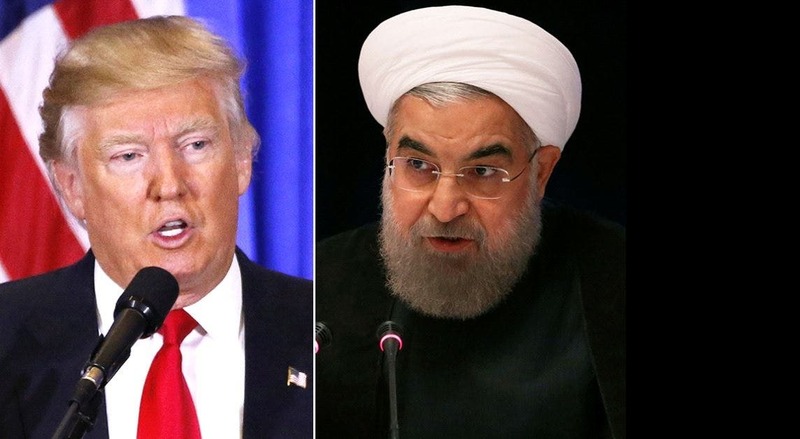 The Iranians are also taking provocative measures against the US Navy in the same region recently, viewed by analysts as actions to learn the limits of US President Donald Trump. On July 26th an armed Iranian patrol boat closed within less than 150 meters of the USS Thunderbolt, yielding back only in response to warning shots fired by a US Navy ship. Such developments are reasons why Trump contacted his French counterpart Emmanuel Macron “to explore how to increase cooperation in addressing the ongoing crises in Syria and Iraq and countering Iranian malign influence,” according to a White House readout. Despite the utterly wrong decision of EU foreign policy chief Federica Mogherini visiting Tehran for Iranian President Hassan Rouhani’s inauguration, the Trump administration is sending push-back signals and making Iran learn its aggressions will not go without cost. This is a necessary and welcomed shift in Washington’s foreign policy. President Trump has signed into law a strong bipartisan Congressional initiative imposing strict sanctions on Iran, Russia and North Korea. The IRGC is now considered a Specially Designated Global Terrorist group. Considering the Guards’ control over at least 40 percent of Iran’s entire economy, this raises the stakes for companies considering doing business with Tehran. It would be wise to reconsider investing in Iran’s $400 billion economy and ponder placing one’s bets in other regional countries, or say, the United States’ $19 trillion establishment. 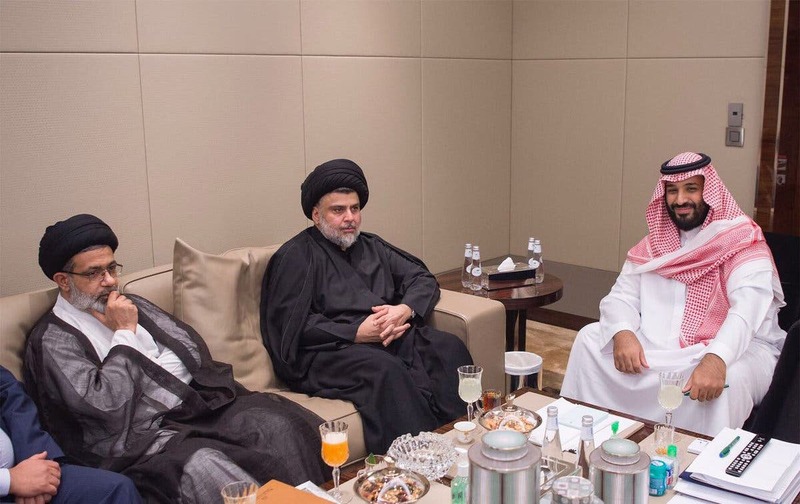 And in news that most certainly raised eyebrows in Tehran, Iraqi Shiite cleric Muqtada Sadr visited Saudi Arabia recently and called for the controversial Iran-backed Popular Mobilization Units in his country to be dissolved now that the Islamic State has been defeated. High hopes were placed in the nuclear deal sealed between the P5+1 and Iran, which Obama hoped to leave behind as his foreign policy legacy. Two years down this road it has become vivid that Iran’s behavior has not changed, to say the least. In fact, Tehran’s support for Hezbollah and other extremist entities have escalated. Iran’s role in the Middle East, namely Syria, Iraq and Yemen have been horrifically destructive. The Trump administration can lead the international community in instituting the first real and effective initiative against the Iranian regime. – ending all nuclear initiatives and providing true “anytime, anywhere” access to all suspected sites, including military facilities. Moreover and parallel to recent sanctions, which must be executed immediately and without any loopholes, the Iranian people’s organized opposition, resembled in the National Council of Resistance of Iran, should be recognized. This will pave the path for regime change by this coalition without war or military intervention. Failure in this regard is tantamount to aiding Tehran’s regime. ANALYSIS: Is it time for the US and Saudi Arabia to combine efforts on Iran? The new administration in Washington has chosen to stand alongside its Arab allies to voice a clear message. This is how this message reads: The regime in Iran is domestically repressive and resorts to flagrant human rights violations, and expansionist outside of its borders, wreaking havoc across the Middle East and beyond. To take the next needed step, an all-out strategy is necessary to rein in Tehran and confront its belligerence inside the country and beyond. Far too long the international community has failed to recognize the fact that the regime in Iran is controlled by aggressive fanatics that will literally stop at nothing to seek their interests, while knowing their internal status is extremely fragile. – The war in Afghanistan toppled the rule of Taliban and the al-Qaeda safe haven, and yet the lack of a legitimate post-war strategy allowed Iran take complete advantage of this void. – The invasion of Iraq was unnecessary and again played into the hands of Tehran’s regime, providing it the opportunity to spread its devious mentality of fundamentalism, sectarian extremism and terrorism. – The Arab Spring has reiterated to us that without an alternative opposition, no regime change will render any positive outcome. The current state of Libya is an unfortunate reminder. – Most important of all, the international community is coming to understand that a policy of engagement and appeasement vis-à-vis the regime in Iran will only further fuel instability. Take the cases of Syria and Yemen, for example, where Iran has allocated enormous manpower and financial/logistical resources to create the mayhem it thrives on. On a broader scale where Iran’s counterparts were the P5+1, thanks again to Obama’s highly flawed approach, the regime has been able to cheat around the nuclear accord. Tehran has staged over a dozen ballistic missile tests despite being strictly forbidden by UN Security Council sanctions. New reports from German intelligence indicates further illicit measures by Iran’s operatives painting a very disturbing image. “Iran is targeting German companies in its bid to advance its missile program, in possible violation of an international agreement, and at least on occasion with the aid of a Chinese company,” Fox News reported citing a damning 181-page German intelligence agency report. 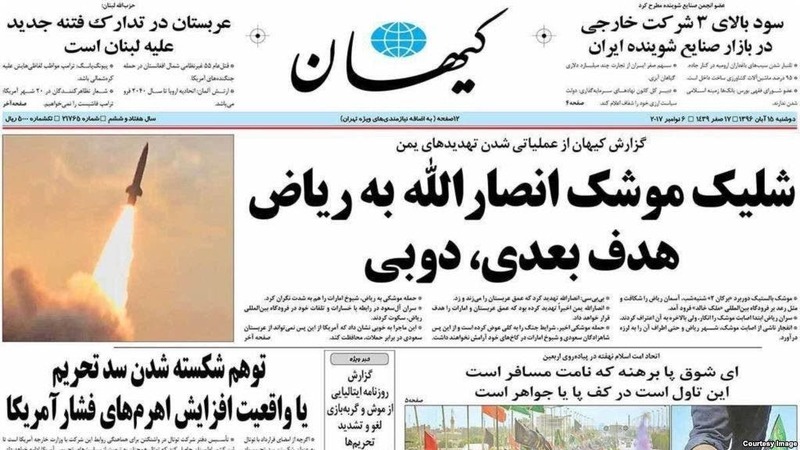 Tehran is actively seeking to obtain “products and scientific know-how for the field of developing weapons of mass destruction as well as missile technology,” according to the report, adding the mullahs are using various fronts to target German companies. Further disturbing revelations regarding the Obama administration’s poorly crafted nuclear deal with Iran found little or no decrease has been witnessed in Iran’s effort to obtain the technology needed for missiles capable of delivering nuclear warhead as payloads, according to Germany’s Federal Office for the Protection of the Constitution (BfV). To add insult to injury, with North Korea successfully test-launching its first intercontinental ballistic missile and on the path to its sixth nuclear detonation, there are increasing voices of concern over the possibility of Pyongyang selling more of its ballistic missiles, the technology or maybe even a nuclear warhead to Tehran. With a windfall of billions of dollars flowing into Iran after the nuclear deal and oil sanctions lifted, Iran has both the money and oil that North Korea craves. Washington and Riyadh should begin pushing back at Tehran by targeting this regime’s financial assets to begin with. 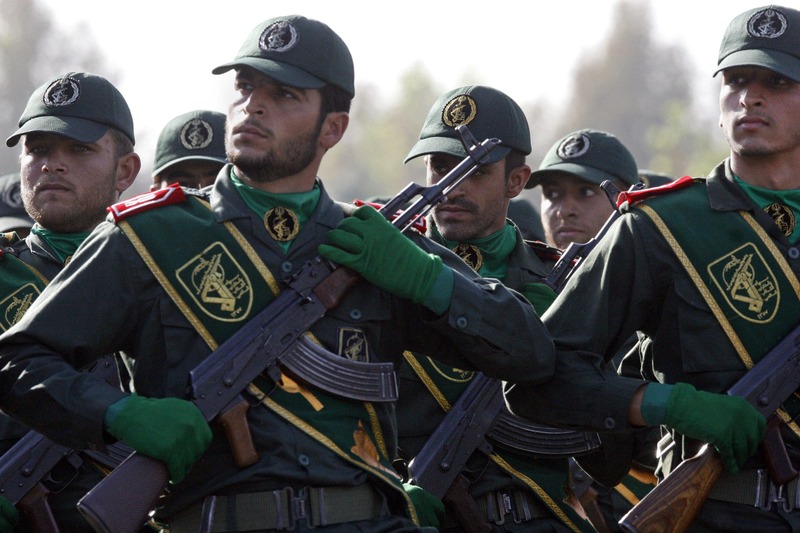 Considering the fact that Iran’s Revolutionary Guards, known as the regime’s praetorians, control around 40 percent of the country’s economy, it is vital to designate this entity as a foreign terrorist organization. If not, its support for the Lebanese Hezbollah, Shiite proxies in Syria, sectarian groups in Iraq and the Houthis of Yemen, to name a few, will continue. And peace will forever elude the Middle East. The international community should finally begin pressuring the ruling mullahs by standing alongside the Iranian people and their struggle for freedom and democracy. The recent presidential “election” and protests before and after have proven the rift between Iran’s population and the regime is elevating dangerously against the regime’s interests. The Iranian opposition National Council of Resistance of Iran, led by its President Maryam Rajavi, has presented a 10-point plan able to facilitate the changes needed for the better good of the Iranian people, and nations across the Middle East. The People’s Mojahedin Organization of Iran (PMOI/MEK), being the main NCRI member, enjoys a vast network of supporters inside Iran and has blown the whistle on Iran’s clandestine nuclear weapons and ballistic missile programs. It is time for the mullahs in Tehran to understand pressures will rise from the international community unless they succumb to the demands of the Iranian people for the future they deserve, being the democracy and freedom they have been wrongly robbed of for the past four decades.